This year, January 20 marks Donald Trump’s first official year in office as America’s 45th president. Although it has been a rather debatable successful year, we can all agree that it has been exhausting. With all the controversy surrounding his validity as president, we are constantly left questioning not only his beliefs, but his legitimacy as well. Judging by his controversial “tweet of the day,” it is no surprise that many Americans, on both ends of the political spectrum, may question his suitability for this revered position. During the infamous 2016 elections, Trump had made his beliefs on race and sexism more than clear. From his comments on grabbing women by their genitalia to his overwhelming desire to build a wall, he has given America the idea that he is undoubtedly very different than our previous presidents. Along with the small ounce of hope for his presidency, expectations were set even lower. Unfortunately, Trump’s first year has only showed America his true colors. He has made several racist remarks and is not afraid to speak what he believes. With his call for a ban on Muslims entering the U.S., the catastrophic proposal to end the DACA Act, and his comments during the Oval Office meeting regarding “sh*thole countries,” Trump has infuriated many Americans. Meanwhile, Trump has also surprised us with his way of interaction and communication with the rest of America. He relies on Twitter to speak out on issues and has continuous rants that have led him to seem immature and unfit for his position. Mr. Aquino, teacher at Academies of Education and Empowerment, makes the argument that Trump is one of the most controversial presidents we’ve ever had. “He [Trump] is definitely non conventional. He’s an entertainment president, has no political background, and has a combative relationship with the media, describing them as fake news. He is blunt, certainly not politically correct, and scandal abound with pornstars accusing him of relationships and his criminal investigations with Mueller…He will be infamous, that’s for sure,” Aquino said. 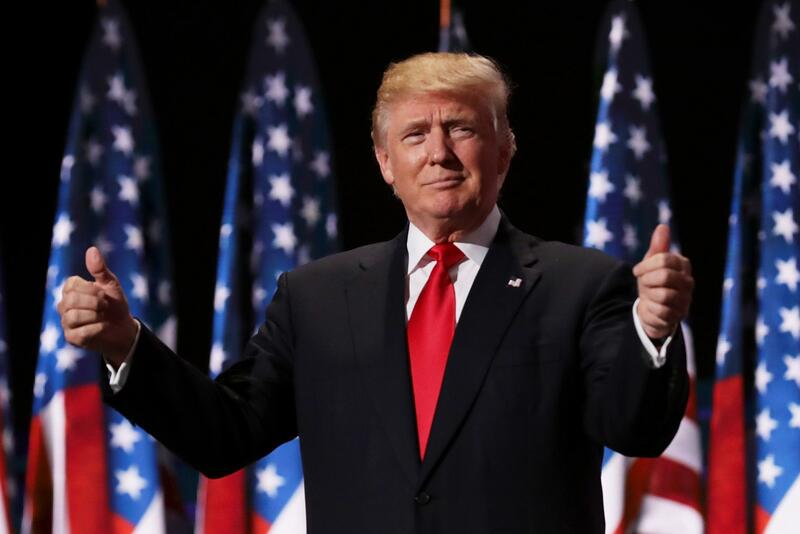 Donald Trump’s presidency can be argued as rather successful, however, a president’s successes and failures in their first year cannot accurately predict their future actions. Furthermore, his presidential credibility and reputation have taken a downfall this past year. For the sake of America, it is our only hope that Trump follows through with his initial promise: to make America great.